Every couple of months InnoGames in Hamburg organizes a game jam. Everyone interested can participate and they even pay for food. And with 185 registrations and 34 games created it is also very big (the biggest game jam in Germany according to them, lacking any real competition though...). This was the fourth time I participated and it was from Friday evening until Sunday evening. This time I went alone and as always without a team. After the theme "Strange Rituals" was announced I went to the stage as everyone else still looking for a team or someone to join their team. Almost instantly two girls found me looking for an additional programmer for their really big team which they wanted to split in two, so of course I said yes. After finding some ideas we split the team of 12 into teams of 5, 4 and 3 people each one following one of those ideas. So my final team consisted of Katharina, Michaela and Thomas doing the graphics and Oliver and me for the programming. We had no idea what technology we wanted to use and after some research settled with SFML which both of us programmers had never used before. It was easy to use but is not exactly game ready so we spend the first day creating some kind of framework to make our game with. For physics we used Box2D. After very little sleep, lots of Red Bull and Pizza we finally had something playable on Sunday, did some finishing touches and then failed miserably when making our final build... We somehow managed to get a working windows build eventually, but we still don't have an OSX build and I'd also like to make one for Linux. 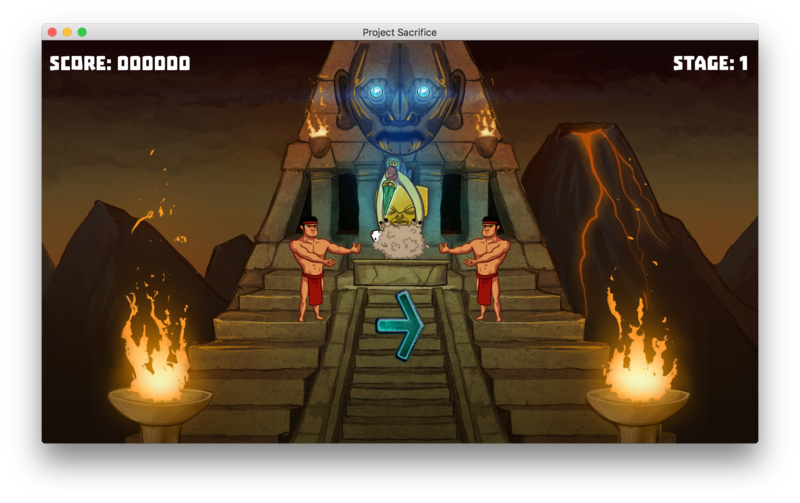 The problem are the assets paths which would need some tweaking in the code to work. 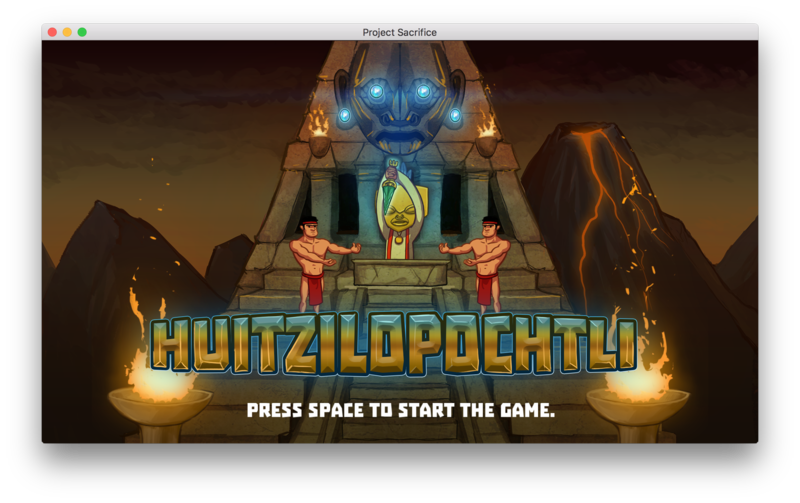 Our final game is about sacrificing animals and humans to the Aztec god Huitzilopochtli by pressing the correct arrow key on your keyboard. If you are too slow you will lose a life. Also sometimes a baby makes it to the altar which you should save (by again pressing the correct button). We got ragdolls and lots of blood and it all looks and sounds pretty good. The game can be downloaded from the game jams game page. After all games were submitted, every team had 3 minutes to present their game to the crowd, which even though we didn't test before worked out amazingly flawless for us. After about 2 hours of presentations the voting was supposed to start but unfortunately their website couldn't handle it. So "they" decided on the very cool Füchseprellen as winner. It was lots of fun, lots of hard work and very exhausting and I'll totally do it again. #iggj10 will be during the Global Game Jam in the end of January. Thanks to InnoGames for hosting such a great game jam! Sadly i'm not a game developer, so my judgement may be flawed, but this looks really cool for just a couple of development days. I like the drawing style and i bet it would make a great mobile game, since you only have to swipe up/down/left/right. 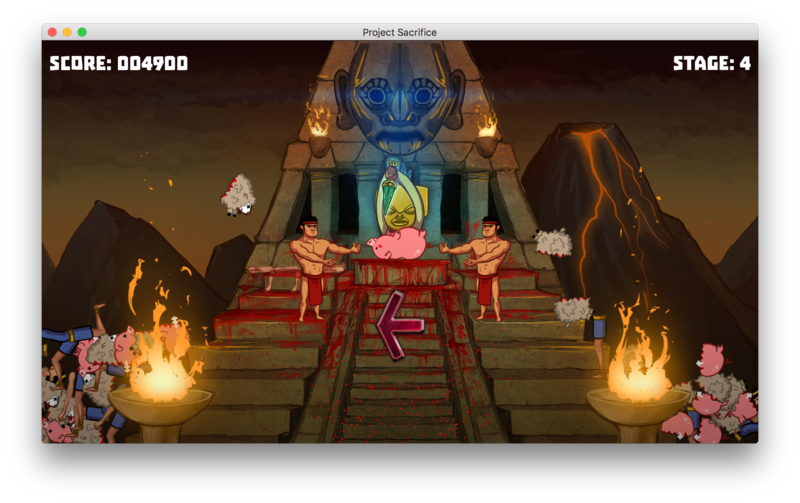 Not sure how this would comply mit Apples rules (since there's a lot of blood) but i think this could work quite well!